Globally the incidence and prevalence of obesity is on the rise and it is an area of major concern among all the age groups, be it children or middle aged adults. Obesity is linked with many chronic diseases like type 2 diabetes, hypertension, cardiovascular diseases, some cancers and knee osteoarthritis. 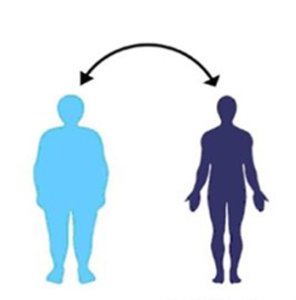 Reducing weight can considerably reduce the risk of countering these diseases and at Plexus it can be achieved with greater ease without undergoing any surgical intervention. We at Plexus provide customized lifestyle interventions for prevention and treatment of obesity with promising results at the shortest possible span of time. The patient is provided with a simple, customized diet plan which is easy to follow along with some nutritive supplements that hasten metabolism and promote quick loss. 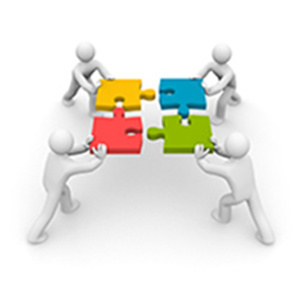 Over thousands of patients have benefited after enrolling into our life style management plan. 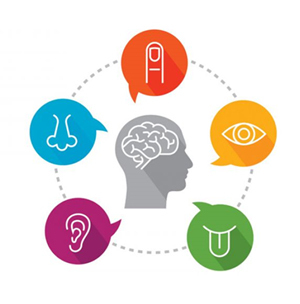 Cognitive Rehabilitation Therapy (CRT) includes treatments that address the cognitive deficits that arise as a result of a brain injury, ageing or as a result of some disease process that affects the brain. Due to the wide range of deficits that are found in individuals with cognitive deficits, CRT is an extensive area that requires extensive expertise. For individuals with cognitive deficits and their families, problems in “thinking capacity” may be the greatest hurdle to returning to a “normal” life. These difficulties involve problems in attention, concentration, memory, social behavior, safety judgment, time management, frustration tolerance, problem solving, planning and carrying out future actions. Due to this, the person’s ability to succeed at work, school, or home is at stake. 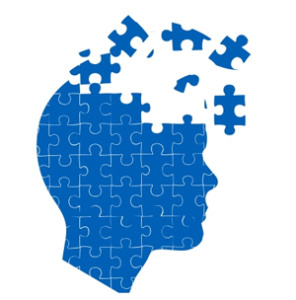 Without any treatment, the long-term effects of cognitive decline can be devastating. At Plexus CRT is carried out by a team of Neuro-psychiatrist, occupational therapist and speech and language pathologist who carry out a detailed assessment of the deficits and set time-bound achievable goals to cater to the patient’s needs. The conditions include Traumatic Brain Injury or Head injury, Stroke, Alzheimer’s disease, diseases and infections affecting the brain including Multiple Sclerosis, Parkinson’s Disease, many psychiatric conditions including schizophrenia, bipolar disorder, ADHD, depressive disorder, substance abuse and/or substance withdrawal. Behaviour therapy is an umbrella term for the treatment that focuses on the identification and rectification of potentially self-destructive or unhealthy behaviors. It is based on the idea that all behaviors are learned and that unhealthy behaviors can be unlearned through repetitive practice. It focuses on remolding or reshaping current behaviors which are unhealthy. Behaviour therapy can benefit patients with a wide range of disorders, including both children and adults. The most commonly treated disorders include: Autism, Attention Deficit Hyperactivity Disorder (ADHD), Oppositional Defiant Disorder (ODD), Anxiety and Panic disorders, Anger issues, eating disorders, post-traumatic stress disorders, bipolar disorder, phobias, Obsessive Compulsive Disorder (OCD), substance abuse disorders, somatoform disorders. There are a number of different types of behavioral therapy offered at Plexus: Cognitive behavioral therapy, Cognitive behavioral play therapy, System desensitization, Aversion therapy, Applied Behaviour therapy and Play therapy. This is carried out by a team of trained and experienced professionals who provide a comfortable and nurturing environment to the patient fostering the development of healthy behaviours. Sensory integration therapy (SIT) focuses on helping children with sensory processing issues by exposing them to sensory stimuli in a structured manner. It is based on the theory that over time, the brain will adapt to the incoming sensations and allow children with these difficulties to process and react to sensations more efficiently. For a “typically developing” child, sensory integration develops in the course of regular childhood activities. But, for some children, it does not develop as efficiently as it should. When this development is disrupted, a number of problems in learning, behaviour may become evident. This may be manifested in a number of behaviours such as withdrawal when touched, avoiding certain textures of clothes or food, distractibility, fearful reactions to ordinary movement like swinging or climbing. In contrast to the above, an under – responsive child may seek out sensory experiences such as crashing into people and objects. He or she may seem oblivious to pain or to body position. The child may be constantly on the move or may be extremely slow and fatigue easily. This can be observed in gross and fine motor activities. Some children may have unusually poor balance, while others may have difficulty in learning new tasks that requires gross or fine motor coordination. These may be evident in a pre-schooler along with other signs of poor sensory integration. Problems in academics may be seen despite normal intelligence. This child may be impulsive or distractible and show a lack of planning in approach to tasks. Some children have difficulty adjusting to new situations. Others may react with frustration, aggression, or withdrawal when they encounter failure. At Plexus SI therapy is provided by a specially trained occupational therapist. The therapist determines after a thorough evaluation whether and how will the child benefit from SI therapy. A complete “sensory diet” is planned for the child and improvements are recorded on a weekly basis. An ongoing evaluation is carried out during the course of the treatment and any necessary modifications in the treatment plan are carried out. Hand Rehabilitation is the art and science of evaluating and treating injuries and conditions of the upper extremity (shoulder, arm, elbow, forearm, wrist and hand). It includes a number of therapeutic techniques and interventions to help a person return to their highest level of functioning. The Hand therapist bridges the gap between medical management of upper extremity conditions to successful recovery, allowing patients to function normally in their daily lives. The therapist provides preventive therapy, non-invasive interventions (like splints) and post-surgical rehabilitation for a wide range of disorders of the upper limb, from simple fingertip injuries to complex replanted extremities. Patients who are candidates for hand therapy include patients with accidents or traumatic conditions like fractures, crush injuries, tendon injuries, nerve injuries, re-constructive surgeries, ligament injuries, spinal cord injuries, burns, even patients with amputations of fingers, hand or arm, patients with inflammatory conditions such as tennis elbow, golfer’s elbow, de quervains tenosynovitis, dupuytren’s disease, trigger finger, tendonitis, patients with chronic conditions, such as arthritis, neurologic conditions such as stroke, carpal tunnel syndrome, neuropathies, RSD/ Shoulder-Hand syndrome, or congenital anomalies. At Plexus the Hand therapy professional is an occupational therapist with the knowledge and experience to manage the challenging recovery of complex hand and upper extremity injuries. The therapist uses a variety of techniques and tools, including custom made orthotics, activity and exercise programs, management of post-surgical pain, swelling and tenderness and care of wound/scar. A splint is a device used to support, immobilize, or protect the arm or hand. Splints can also be used to support function, assist and/or increase range of motion. Treating a case with upper extremity injury (most often, wrist and hand) required the use of a splint. At Plexus, our Certified Hand Therapist can properly match the splint material and design to your specific injury. There are various types of splints: static, dynamic, static progressive, protective, corrective, preventive or functional. 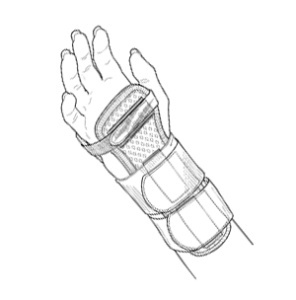 Based on the specific requirement of the patient and the type of injury, the specific type of splint is designed and customized by the treating therapist. An orthotics is a device that is designed to align the foot and ankle into the most anatomically efficient position. If you experience fatigue during routine activities you may be a candidate for orthotics. Specific conditions that may be alleviated by orthotics include Achilles Tendonitis, Plantar Fascitis, metatarsalgia, neuroma, arch and heal pain and more. Apart from this, orthotics are highly beneficial in cases of contracture of the TA (as in cerebral palsy, spinal cord injury, stroke) and in foot drop deformities. We also customize orthotics to correct deformities of the foot like hallux valgus/varus, contracture of the toes, overlapping toes.